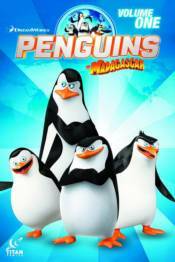 Join Skipper, Kowalski, Rico, and Private on their adventures in the first DreamWorks' Penguins of Madagascar collection. Brought to you by comedy geniuses Alex Matthews (Phoenix, Dandy), Jai Nitz, and Lawrence Etherington, with eye-popping art from Lucas Fereyra and Anthony Williams. Feathers are set to fly!